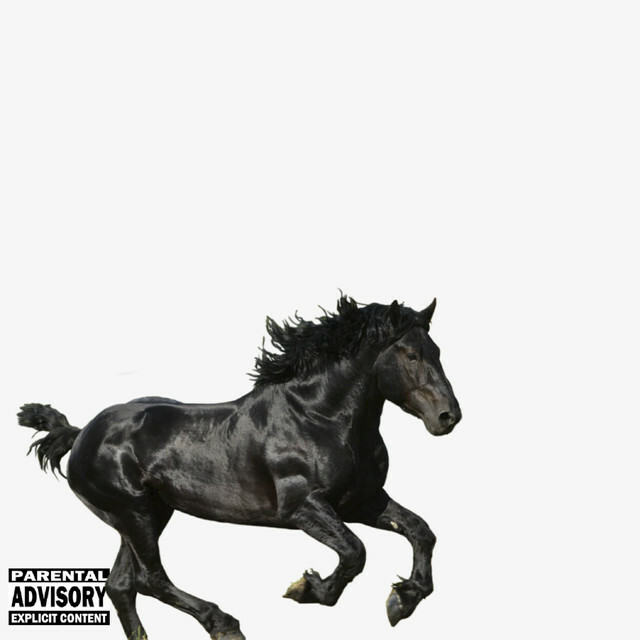 Album cover for "Old Town Road" by Lil Nas X.
You’ve probably heard Lil Nas X’s “Old Town Road” at some point in the past month. Maybe you were scrolling through memes on your phone, or maybe it was blasting over the speakers at a party. Maybe you were with your country music-loving roommate, or maybe you were visiting your trap music-loving grandma. Whatever the context, you were probably perplexed — perhaps even intrigued. Just where did this song come from? How does it relate to TikTok, the video-sharing app? And is that Billy Ray Cyrus singing a verse? “Old Town Road” has clearly been through quite a journey to get where it is. Like most influential masterpieces, the song comes from humble beginnings. In 2018, Montero Lamar Hill (who later took on the rap moniker Lil Nas X) had just dropped out of college to pursue a music career. This decision was first met with the usual outcome: failure and familial disappointment. Lil Nas X, however, did not give up. In fact, the soon-to-be star turned this shame into inspiration for a song he hoped would be his big break. He casts himself as a trendy cowboy, with the success that he so desires represented by — you guessed it — an “old town road.” The song then becomes a symbol of hope — as Lil Nas X croons, “I’m gonna take my horse to the old town road,” he suggests that his dreams are, indeed, within reach. But as beautiful as this imagery may be, it’s certainly not enough to make a song go viral. Fortunately, Lil Nas X had a trick up his sleeve: Internet savviness. He thought that if he uploaded the song to apps like TikTok, it could rise to fame as a meme. He was right. Understandably, this move sparked considerable frustration. This was an insult to a song that many genuinely enjoy. On a deeper level, however, Billboard’s decision is reflective of a greater issue: country music’s exclusive nature, particularly toward people of color. Country has come to be dominated by largely white artists, and past attempts to diversify the genre have been met with great hostility. Notably, superstar Beyonce’s foray into the genre, “Daddy Lessons,” was reportedly rejected by the 2016 Grammys for consideration under the country category, despite her performing the song at the Country Music Awards earlier that year. “Old Town Road” was just the latest in a long line of innovation by a black artist being shot down with superficial justification. This did not stop Lil Nas X, however. For one, the song was already a hit with fans across the world, cementing its place as one of the most memorable tunes of 2019. In addition, Lil Nas X adopted a philosophy that we could all benefit from using: “When in doubt, turn to Billy Ray Cyrus.” On April 4, Lil Nas X released a remix of “Old Town Road,” this time featuring several verses sung the famed country star (and Disney father).This was certainly a response to Billboard’s assertion that the song is “not country enough,” and it quickly grew to rival the original in popularity. To make things better, “Old Town Road” lept to the very top of Billboard’s top 100 on April 8, dethroning Ariana Grande’s eight-week reign at number one. Will Smith has even expressed interest in starring in a music video for the song. Clearly, we have not heard the last of “Old Town Road,” or of the genius whose “Gucci hat” started it all, Lil Nas X. — Hunter T. Baldwin can be reached at hunter.baldwin@thecrimson.com.